Published on April 18, 2019 in Generale and Stress. 0 Comments Tags: campione, depressione, golf, Phelps, Tiger Woods, Vincere. 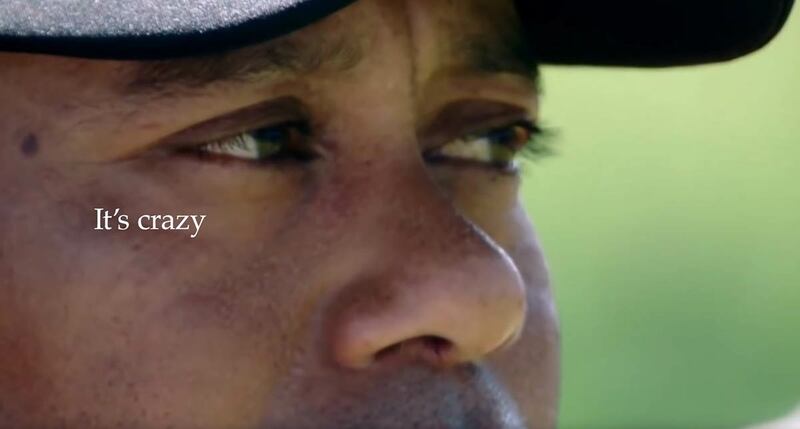 “In 2009, on the occasion of the” The Invitational “tournament, Arnold Palmer, the greatest golfer of the sixties, had gone to meet Tiger Woods to congratulate without even waiting for the outcome of the decisive putt of almost 5 meters that he had to sink to win “I knew he would do it simply because with Tiger nothing different can happen,” he was at the top of his golf career. And instead, his career takes an unexpected curve, taking the tunnel of scandals and physical troubles. On November 28, 2009, following a dispute with his wife Elin Nordegren, Woods slams his Cadillac against a fire hydrant and then crashes into a tree in Isleworth, in the suburbs of Orlando. He spends a few weeks in a clinic to treat sexual addiction, but the problems are just begun. In April 2011, the Achilles tendon was severely damaged, while in March of the following year he began to suffer for back problems that led him to undergo four surgical operations, including a spinal fusion that would definitely solve his problems. But until two years ago Woods couldn’t even bend to tie his shoes. “I could barely walk. I couldn’t sit down, lay down. I could do practically nothing, “said Woods yesterday after winning the Augusta Masters. Notah Begay III, a friend of Woods with alcohol problems, puts him in contact with Michael Phelps, the king of swimming who had managed to put behind him a serious form of depression and two arrests for driving while intoxicated. The two talk on the phone, and Phelps, who is also a golf fan, manages to find the key to revitalizing Woods, destroyed by physical pain and above all by the fear of not being able to return to the top anymore “. Now a few days ago he won the first Major of the season, the Augusta Masters 11 years after his previous success. Nike, which had recently announced that it would no longer invest in golf, following the victory of the Augusta Masters relaunched Woods with its advertising campaign that had already had testimonials like Serena Williams and Colin Kaepernick. Published on February 22, 2019 in Allenatori, Calcio, Corsa, Generale, Giovani, Mental coaching, Olimpiadi, Stress, Tennis and Tiro a volo. 0 Comments Tags: Pellielo, skill, Vincere, winning. The psychological skills the athletes must show in competition and in training are often difficult to list, because the risk is to do a very long and too generic list. Nevertheless, today I would like to try to identify, from my point of view, the skills that can represent milestones in the athletes’ sport careers. Self-control - it means knowing what are the behaviors to put in place to address the competition requests. The self-control requires respect for opponents; at the same time the athletes must be the leader of themselves, to overcome the difficulties posed by the races and opponents with the aim of providing the best performance. Readiness for action - the athletes are persons oriented to act and therefore they must be ready to kick a ball, pulling a shot, to run in a precise rhythm, to anticipate opponents, to start rather than conclude effectively a race and so on. Readiness goes with high levels of situational awareness: the athletes have to know what to do at any given time and do it at their best. Toughness and resiliency - I did not completely understand the distinction between these two psychological concepts, but I believe the athletes should continue to do the best even when they are tired, when all seems lost, during the decisive moments, at the end of the race, when they feel confused but know they have prepared an action plan for those moments. Attention - Robert Nideffer said the attention is the only important thing in the decisive moments. I agree and, that is the reason, I consider it as the ability allowing to lead the mental commitment. The athletes have to know what to look for, knowing when to use a broad attentional style oriented toward the environment rather than a narrow attentional style, more focused on very few external factors. Without proper attention they cannot understand what is going to happen and to move in advance. Optimism - The explanation of the performance results is an important factor, because it determines the expectation in relation to the future competitions. Humans are often engaged to explain their positive and negative results. It is therefore essential, the athletes develop an optimistic perception of their performances, because if they explain the positive results in term of luck or lack of competent opponents is unlikely they improve and gain a winning mind. Published on February 21, 2018 in Allenatori, Giovani, Mental coaching, Stress and Tennis. 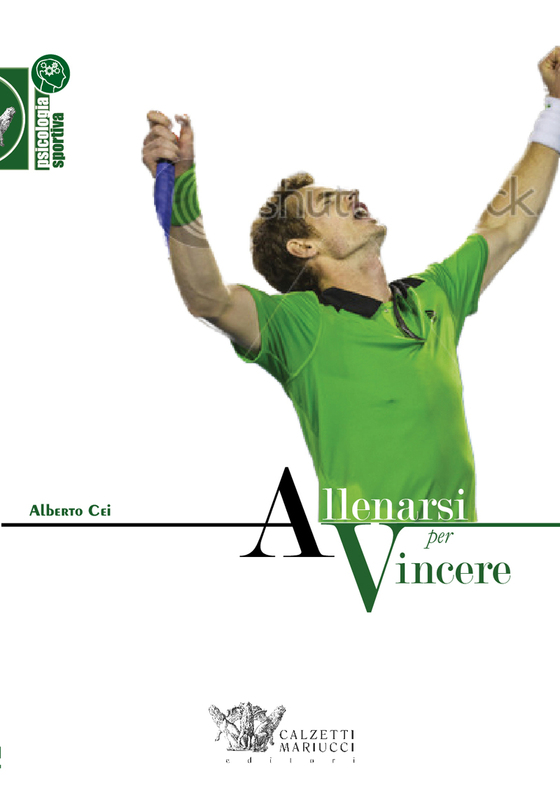 0 Comments Tags: Federer, partita, pensare, Vincere. I often talk with young tennis players of the importance to lead themselves during the matches. Most of them uses too often complicated thoughts and want to show brilliant shots. In my opinion, this thoughts prevents being concrete and do simple things, waiting for the right moment to close the point. Everyone talk about Federer exceptional tennis but rarely pointed out that the mental approach to the game comes before very other thing. So first of all, we need to support ourselves and then let’s focus on every point. Published on March 27, 2017 in Allenatori, Calcio, Giovani and Stress. 0 Comments Tags: aggressività, competenza, condividere, Ferrari, Hamilton, pilota, squadra, Vettel, Vincere. Skill, aggressiveness and sharing. It was the winning mix of Ferrari and Vettel. The team – In the last months, it was calm and focused on enhancing their skills. Vettel said: “We focused on what we had to do from time to time without looking around … especially in the last couple of months we were calm and we worked”. Published on September 23, 2016 in Allenatori, Calcio, Generale, Giovani and Stress. 0 Comments Tags: Guardiola, mentealit, valori, Vincere. Guardiola’ different mind as a player - He was always looking for ways to make not only himself better but also the team. From the beginning, he had an unshakeable winning mentality and understanding of team chemistry. His mentor - It’s not a secret that Guardiola’s philosophy and game understanding come by Johan Cruyff. He has often stated that it was his biggest idol and mentor. He was immediately aware of the need to possess, both for recovery and maintenance – two ideals that are the foundation of his game philosophy. Continuous search for improvement - not only work hard, but he is relentless in pursuit of improvement, his aim is to become the best that can be Pep Guardiola. Sense of the common - It means knowing how to think of others, not only the team but also to the social context in which the team alive. The value of having values ​​- Over the love of football are: sacrifice, accountability, respect, honesty and teamwork. Discipline and awareness - On his first training session at the Barcelona, Guardiola said to coach the Barcelona is an “absolute honor.” He spoke of the need to restore order and discipline and the need to be more professional. Study the opponents - “All I do is watch the movie of our opponents and then try to figure out how to demolish them.” This proactivity pushes Guardiola to know not only his team, but also the opposing team, inside and out. Player assessment – With Guardiola the players must be prepared to be continuously observed. Deco and Ronaldinho did not have this attitude and were sacrificed for the good of the team. Behavior consistent with the words -You are what you do. Consequently Guardiola arrives first at practice and leaves last. He studied very carefully the opponent teams. Internal communication is a service to answer the players needs. He work regularly with staff. Published on September 19, 2016 in Allenatori, Calcio, Generale, Giovani and Mental coaching. 0 Comments Tags: Alex Ferguson Manchester United, allenamento., calciatori, leadership, Vincere. Alex Ferguson represents the history of football and a model of leadership studied all over the world. Below his ideas as he has told in his autobiography. The construction of a football team - It must start from the youth activity, in order to build continuity in supplying players to the first team. The players grow together, producing a bond that, in turn, creates a spirit. Inspire people to improve - “I have always been very proud to see the younger players as they develop.” In this way the work of a coach is similar to that of a teacher. He teaches the technical skills, the winning mentality and better people. This determines in young loyalty to the Club, since they are aware of the opportunities they have received. Plan the future - The are players more than 30 years, those between 23 to 30 years and the younger. The success of a team is about four year cycle, and then changes are needed. The aim is to always know what is the team that you’ll want to have with an advance of a few years and decide accordingly. Each training session is important – It must always be maintained a high training standards. They are important the motivational talks, team building, all the preparation of the team and talk about tactics. Do not ever allow an unsatisfactory training session. What you see in training occurs on the playing field. You always need quality, concentration, intensity and speed. The talent always works hard – From the talents it must be expected a lot more than the others during the workouts. They should prove to be the best. The locker room atmosphere must be always safeguarded – You have to wonder if someone is spoiling the atmosphere of the locker room, the team’s performance, and the control of the players and staff. If this happens you have to cut the cord. There is absolutely no other way. It does not matter if the person is the best player in the world. The long-term vision of the club is more important than any individual, and the coach has to be the most important in the club. Encourage players - Nobody likes to be criticized, and there are few players who improve with criticism. They should be encouraged. For a player, like any human being, there is nothing better than listening “Well done.” They are the two best words to listen. It is not necessary to use superlatives. Correct the mistakes immediately - At the same time, in the locker room, it is necessary to indicate the mistakes when the players do not meet the expectations. This is when the criticism is important, immediately after the match, without waiting on Monday. After this time, you think about the next game and everything begins again. In training we need to repeat – During the sessions the technical skills and tactics must be repeated. The aim of each session is to learn and improve. This must be done even if the players can think “Here we go again”, because these repetitions help to win. Manchester United style - Be positive, adventurous and take risks. The observation - It’s an essential element of the skill management. The ability to see things is the key, more precisely, it refers to the ability to see things that you do not expect to see. Published on August 1, 2016 in Allenatori, Calcio, Corsa, Generale, Giovani, Mental coaching, Olimpiadi, Stress, Tennis and Tiro a volo. 0 Comments Tags: dolore, olimpiadi, Rio, sogno, Vincere. The Rio Olympics are about to begin. The scourge of doping, which humiliates the sport, is strong and it does not seem to recede despite the disqualifications and the results of the report by Richard McLaren. Despite this, for most of the athletes, the Olympics are an extraordinary event (Italians will present 308). We know the cost and the risks the Olympics impose to those who organized but the myth endures today as it once was. This is the world’s most important sport event, it happens once every four years, for most of the disciplines is necessary to be qualified and in some there is only one athlete per country. It is also a strong link with our past origins, where they join the search for beauty, performance, competitiveness, peace and hero. Who wins a medal at the Olympics goes right to the history of world sport, for this is the race of life. In fact, there are athletes who have not recovered from a defeat at the Olympics, others who have lived the next four years waiting for that day, in which they demonstrated to the world their true value. This is why many dope, because they want to maximize the probability of winning, until to pass the boundary of what is permissible and legal. Winning the Olympics is the fulfillment of a dream, which has had thought dozens of times before. We have not to believe to the athletes when they say: “I did not really think about it, my goal was to do my best.” They thought all right, but they have been so good to dismiss this idea and to focus only on what it took to deliver an outstanding performance. In fact, the victory of a medal at the Olympics only comes from an outstanding performance, excellence in this case is not necessarily in the world record or in unrepeatable quality actions. It comes from having held off the internal pain of the idea of ​​defeat. The athletes in this condition, to deal with this idea, does not exaggerate in the desire to want to do well at all costs, stiffening the body and mind and deteriorating performance, but they do not throw into the fray without even thinking, showing to be impulsive. Instead, they accept the idea of ​​defeat and do exactly what they are prepared to do, in all those long hours of training, neither more nor less, that is, does what he is capable of. Reaching this state of mind is not easy and is the result of a mental work on themselves. This is the challenge that awaits those who will compete in Rio. Published on April 1, 2016 in Allenatori, Calcio, Corsa, Generale, Giovani, Libri, Mental coaching, Olimpiadi, Stress, Tennis and Tiro a volo. 0 Comments Tags: allenarsi, Calzetti, Cei, Mariucci, Vincere. This is a book dedicated to the hard worker. It’s a book dedicated to those who want to run the risk of becoming very good, and will not settle for easy success. It’s for those who believe that the exceptional performances comes from the daily commitment and not from heroic commitment of a day, it’s for anyone who does even when it rains, and the goal is still far away. It’s for those who are engaged in activities not immediately rewarding, because boring and repetitive, knowing they have to do it. It’s not for those who want to be always in the spotlight or be already good. It’s a book also dedicated to those who, despite not having young or the time to become a top-level athlete, still want to cultivate their passion for sport and training themselves to improve the psychological skills to go from running a minute to one hour, following a program that allowing to know themselves deeper and to develop the mental skills that will enable to live their commitment positively. This is the book for those who like to work hard in an intelligent and ethical way, for those committed while still knowing that there will be days when they believe they will never reach the goals, knowing that these feelings are part of the play. Published on March 2, 2016 in Allenatori, Calcio, Corsa, Generale, Giovani, Mental coaching, Olimpiadi, Stress, Tennis and Tiro a volo. 0 Comments Tags: motivazione, perdere, Vincere. Many athletes believe that to be fit nd have developed their sports skills at the highest level are sufficient conditions to succeed in sport. In this spirit they compete and when their performance is unsuccessful, they do not know how this could be happen, because they felt so ready, that they should not go wrong. They show, in essence, a mechanical and simplified conception of competitive performance, according to which the owning physical fitness and sports skills should determine winning results. 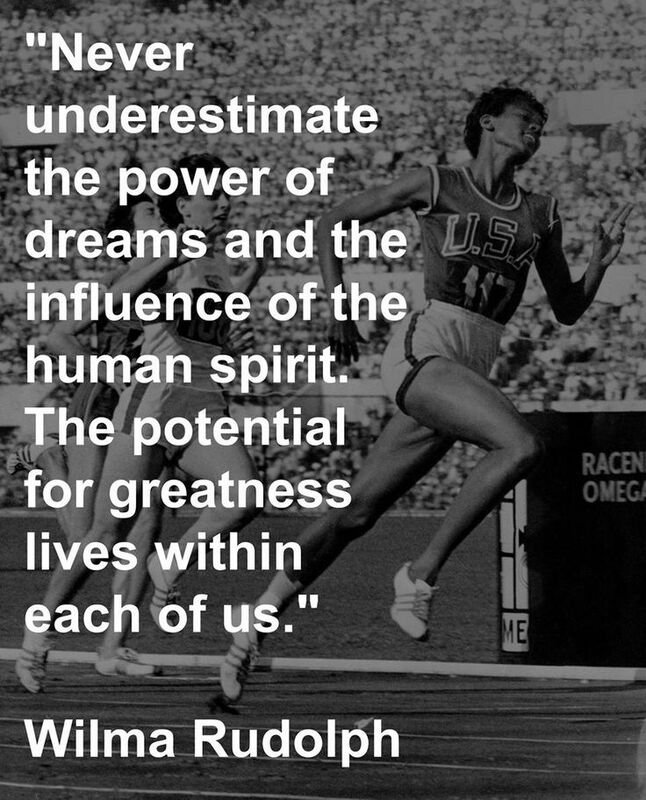 As states Wilma Rudolph this, however, does not occur because they have underestimated the power of dreams and the spirit. They did not understand that fitness and skill are only the prerequisites for success, which it’s instead determined by the motivation to express the best of their abilities. Without that kind of motivation they do not go anywhere. Of course to show this attitude of perseverance and high intensity before and during the race is very expensive, it takes away a lot of energy, without necessarily ensuring the victory, since there are also the opponents. Who supports this attitude will receive great satisfaction from the sport, the others will remain good athletes that they could have achieved more, by virtue of their skills but who have not taken till the end of this trip within their motivation. Published on October 23, 2015 in Allenatori, Calcio, Corsa, Generale, Giovani, Mental coaching, Olimpiadi, Stress, Tennis and Tiro a volo. 0 Comments Tags: paralimiadi, perdere, Rio 2016, successo, Vincere. The preparation ends at that time and the next step is to do it. Now in the athletes’ mind emerge decisively anxieties and fears, that the athlete have to manage but who are limited by their confidence to feel ready. In a little more than 10 months, the Olympics and Paralympics Games will start, the best athletes are engaged in qualifying and for all it will be important to reach those days feeling prepared at the best. The work of the sports psychologists will be very important for them to build this kind of mentality.